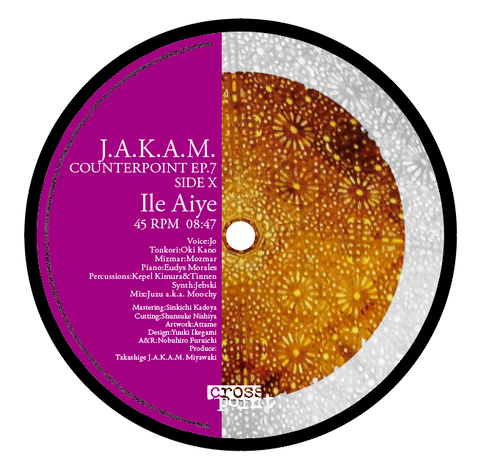 As if approaching the end of this sonic escapade, the 7th chapter of Counterpoint series, pays homage to Ile Aiye, home of the "Soul" or "Earth" in Yoruba. The contemplative Ile Aiye features the optimistic spoken word by Jo, a god mother like figure/ healer from Salvador, Bahia that J.A.K.A.M. met while traveling through Brazil. Jo sings about "It's better to die than to lose your life". This track once again features Tonkori playing by Oki of Oki Ainu Band who also appeared in Rise Again, the 1st EP in this series. 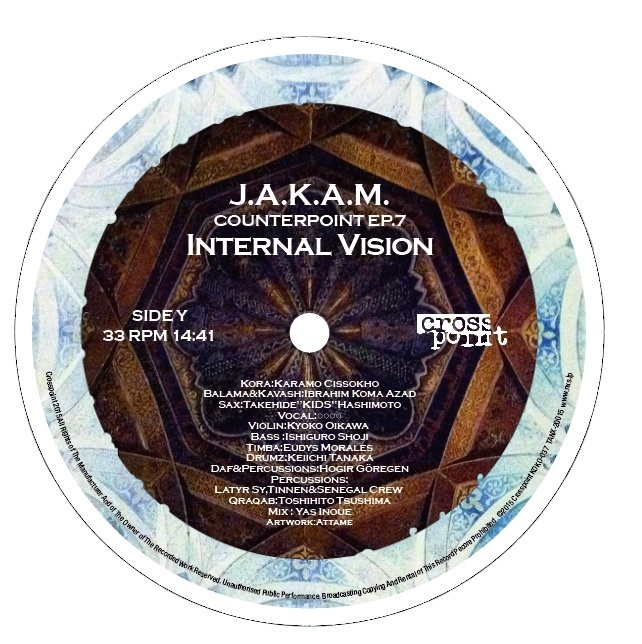 Literally, an expansive music journey, conceived via Senegal, Turkey, Japan, Cuba, J.A.K.A.M. pulls together a wide range of culture, race, instruments, players, melodies and rhythms, to create an epic, tribal tour de force. A grand jam session that takes you on a microcosmic, multi-faceted sound dimension called Internal Vision.